A US veterans’ organizations is running an advertisement in Air Force Times urging military drone operators to refuse orders to fly attack missions. 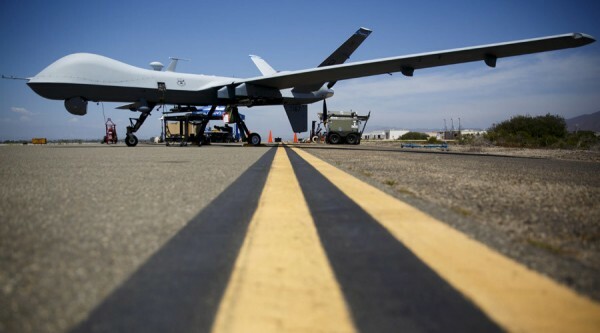 This comes as the Air Force encounters trouble retaining drone operators due to the stress of the job. Many argue that drone operators do not know what they’re getting into when they sign up for the job. The ad was supported by organizations such Iraq Veterans Against the War, Code Pink and Veterans for Peace, but a lot of the money came from private individuals using the crowdfunding website GoFundMe. “It costs over $5,000 to run this half-page ad for one week, and the vast amount of that money came from military and ex-military people.” Mottern said. This level of support does not surprise Mottern, who is a veteran himself. The KnowDrones campaign, which has ads targeted through television broadcasts near military bases, is concerned with the wellbeing of those who operate drones in addition to those who are victims of them. The turnover of drone pilots has been something of a problem in the Air Force. The Government Accountability Office found that the Air Force “faces challenges to recruit, develop, and retain pilots and build their morale” in a 54-page field study from 2014. The report goes on to say that the Air Force has not even set out guidelines to pick candidates based on how psychologically fit they are for the task. Consequently, its recruitment last year fell short by 39 percent. As a result, the rest are working overtime; 57 percent of drone pilots said that they work more than 50 hours a week. “This work is very tedious. It involves sitting hours on end in front of computer screens, it means increased hours on the job because of increased demands that politicians are making on drone operators.” Morton says. In addition to subpar training, pilots suffer from exhaustion brought on by the complex timetables demanded by drones which need to be flown on missions that sometimes last over 24 hours. The report says that “constantly rotating shifts caused sleep problems for pilots because they must continuously adjust their sleep schedule to accommodate new shifts. Nick Mottern agrees with this assessment, citing it as one of the reasons why the drone pilots should be seen as doing the right thing when refusing orders to kill.